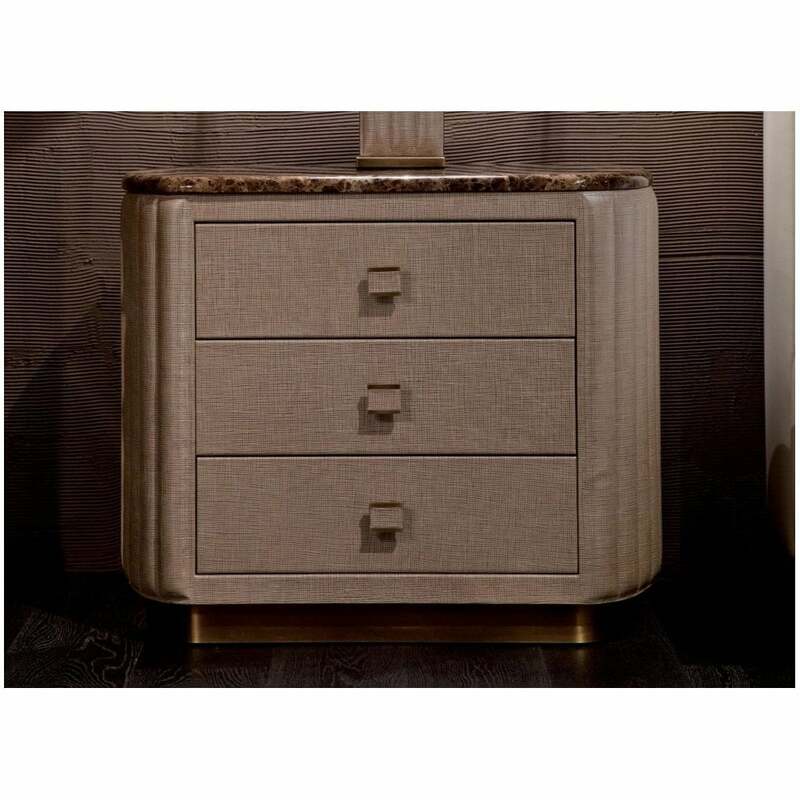 The Bach Night Table by Rugiano Interiors features a curved design reminiscent of the Art Deco era. The hand-stitched, padded exterior is crafted by skilled artisans using the finest leather. These high-quality materials are available in a range of textured and smooth finishes. The Bach Night Table includes three drawers, ideal for storing essential beauty items and your latest reading material. Sitting upon a bronze or steel base, this luxurious detail can be chosen to suit your lighting and fittings. Finished with an intricate marble top, choose from calacatta oro or valentine grey marble. This designer night table creates a soft and sophisticated look that pairs beautifully with the Bach Bed and Bagutta Bach Lamp. Make an enquiry for more information.